The release of Update 3.2.0 for the action / RPG Path of Exile is scheduled for March 2. Therefore, the developers decided early to show you the list of changes. The Bestiary Test League will be added. Brave heroes have to hunt down and catch hundreds of deadly beasts, and then with the help of a special NPC create new valuable items. There will be 2 new skill gems and 1 support gem ("Spectral Shield Throw", "Tectonic Slam" and "Summon Phantasm on Kill"). The mechanics of the Abyss will move to the main game. To be more precise, you will be able to meet the Abyss since the second part of the storyline of the game (the chance of appearance is 10%). There will be the last battle with the Ancient. You will be able to get a large number of new items. In Act 10 there will be a new area - The Control Blocks. The Debeon's Dirge will acquire a 3D model. 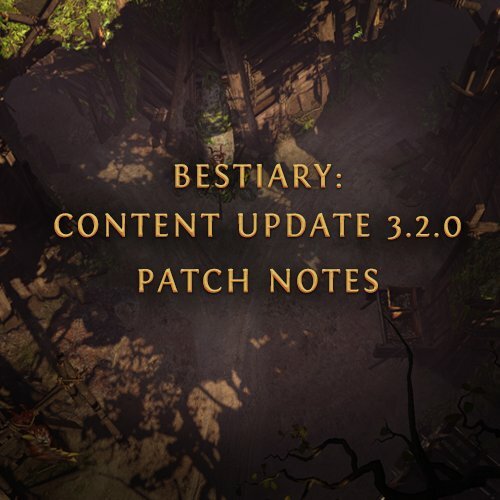 A complete list of changes to the 3.2.0 update for Path of Exile is in the comments to the news(https://www.pathofexile.com/forum/view-thread/2093500/). As Path of Exile is the fastest selling video game worldwide, the value of its in-game currency has grown in popularity. Get more news from our website: www.u4gm.com. It sells cheap PoE currency buy. If you buy here, you will get fast delivery and best service.